Sometimes the record of a culture is made by its conqueror. 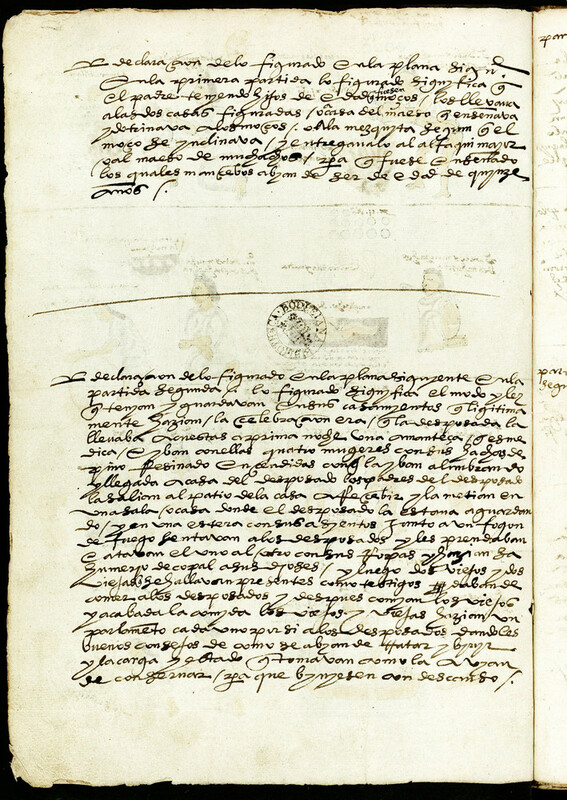 This manuscript was commissioned by Antonio de Mendoza, first Viceroy of Mexico 1535-1550, for presentation to the Emperor Charles V of Spain. It contains, firstly, a copy of a lost chronicle of the Aztec lords of Tenochtitlan; secondly, a copy of the ancient Tribute Roll, listing 400 towns paying annual dues to the last Aztec Emperor, Moctezuma II; and thirdly, an account of Aztec life ‘from year to year’. 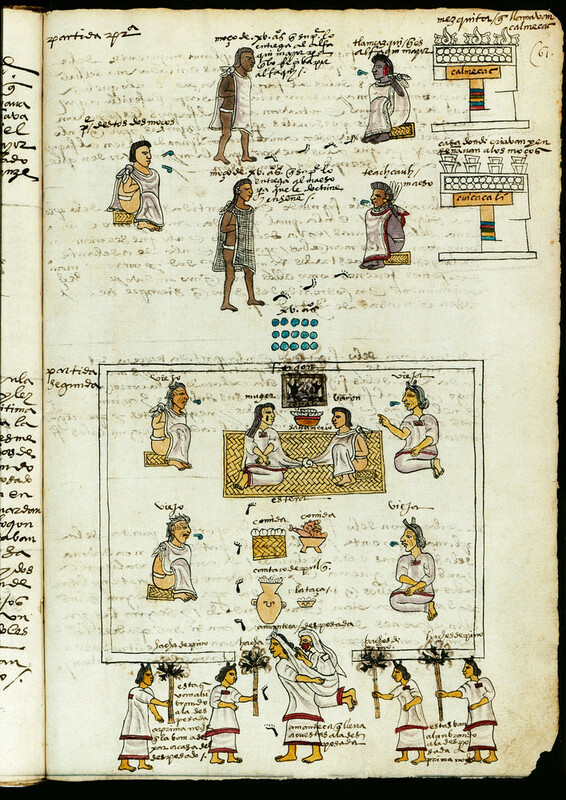 The pictographs, by an Aztec artist, were annotated in Spanish by a Nahuatl-speaking Spanish priest who questioned native speakers as to their meaning. Shown here is a depiction of an Aztec wedding.